With 20 years of experience and an AV® rating by Martindale-Hubbell®, attorney Steve Schanker has the experience and skill to defend you! Learn more about his experience. We are here to fight for your case. Give us a call today and we will determine what your best course of legal action is. Act now to protect your license! You only have 14-15 days to request a hearing. Wondering What Happens After Your DWI Arrest? Contact us today! We will evaluate your case for free right now. 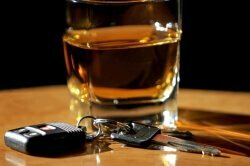 Attorney Steve Schanker is a dedicated Kansas City DUI attorney with a reputation for successfully representing clients who have been charged with DUI and DWI related offenses. His record of proven case results on behalf of his clients is indisputable. Within 20 years of practice, he has received high ratings for excellence and ethics from his contemporaries, including an AV® rating from Martindale-Hubbell®. When facing DUI charges, your long-term future is at stake. It is important that you have representation from an attorney with proven results and legal expertise. You need an attorney who will give your case the full focus it needs to avoid a conviction. Steve Schanker has experience in every area of DUI defense law. 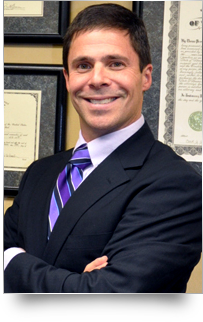 He handles felony cases resulting from allegations of DUI involving an accident, as well DUI drug cases. His goal will be to help you fight for your freedom and preserve your privilege to drive. At the driver's license hearing, it will be determined whether or not your license will be suspended. If you are arrested for driving while suspended, your suspension time could be increased and you could be subject to fines and jail time. For all of these incidents, you will need experienced and prepared legal support. One of the main types of evidence that can be held against you in a DUI case is the results of your field sobriety test. If you believe the results of your test could be challenged, Attorney Schanker is ready to help you prove your case. He may be able to use these tests to actually build a solid defense on your behalf if errors took place by the officer conducting the tests. Searching for a DUI lawyer in Kansas City? Getting arrested for a DUI can be a frightening situation, especially when you face license suspension and jail time. A conviction can lead to serious consequences that can follow you for years to come. It is always best to retain the services of a Kansas City DUI attorney with extensive experience in order to ensure you have increased the possibility of getting a favorable case outcome. With fines, possible jail time, license suspension, and mandatory alcohol or drug classes as a real possibility in a conviction, you need to move fast and retain a trusted Kansas City DWI attorney with a proven court record. The firm offers reasonable rates and payment plans, and a DUI lawyer who will listen to the needs of his clients. Attorney Schanker may be able to help you determine whether you should go to trial or simply work out a plea. He is exceptionally well-versed in the DUI laws in both Kansas and Missouri and stays on top of any legislative changes or case laws that could affect your situation. He is well known and respected by judges and prosecutors alike. Let his firm help you through this difficult situation. Contact Steve Schanker, Attorney at Law for honest and aggressive legal representation. Let us help you fight your DUI! Fill out the form to schedule your free evaluation! "I refer him to everyone I meet. He cares about his clients, understands the law and knows how to get good results." Located at 1919 Buchanan St. Kansas City, MO 64116.